Cool fall evenings and comfort food go hand-in-hand. 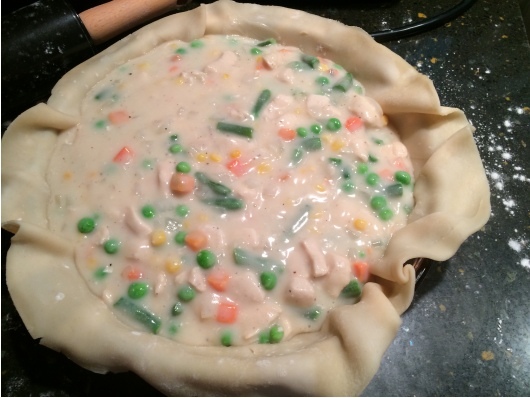 And you can’t get much more comforting than chicken pot pie. Add olive oil to a large skillet and cook the chicken until it’s done, then set it aside. Drain the skillet and add the butter, onion, flour, salt and pepper. 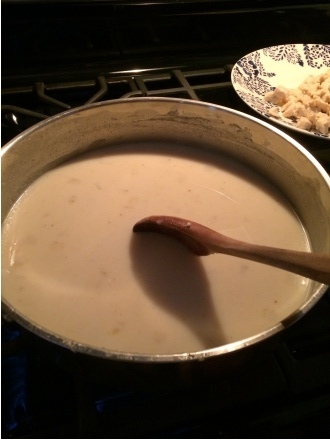 Cook, stirring constantly, until the mixture is bubbly, then remove it from the heat and add the milk and chicken stock. Stir well and return to the stove. Bring to a boil, stirring constantly. The mixture will begin to thicken. I usually cook this for at least three to four minutes; you’ll want it to be thick enough to coat the spoon. 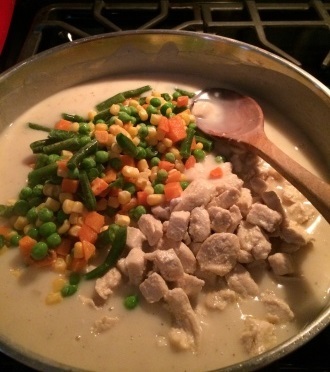 Once the sauce has thickened, turn off the stove and add the frozen vegetables and cooked chicken. Stir well. 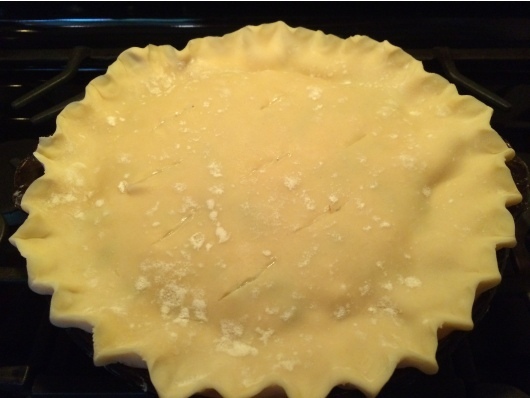 Roll out the bottom pie crust and place it in a pie pan. Pour the filling into the shell. Roll out your top pie crust. You can use decorative cut-outs if you’d like, or just place the crust on top, crimping the edges and cutting the top of the crust so that steam can escape as it bakes. Bake in a 425 degree oven for 35 minutes. After the first 10-15 minutes, you’ll want to use a pie shield or aluminum foil to cover the edges of the crust so that they won’t burn.